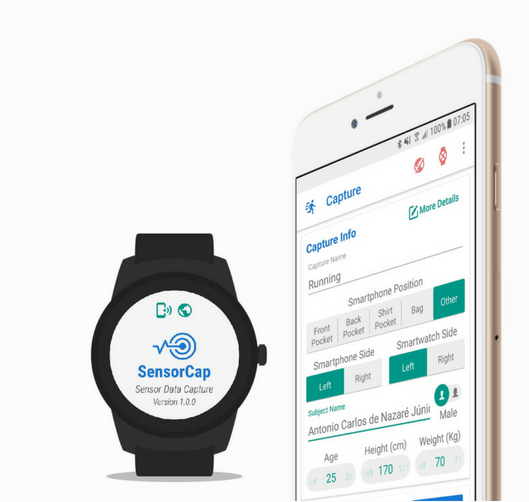 SensorCap is an Android tool that captures sensor data in user-defined configurations. The purpose is to allow researchers and developers to quickly save sensor data for research, testing and prototyping. The sensors are broadly defined to include “motion”, “position” and “environment” device sensors. An intuitive user interface facilitates tasks such as setting up a sensor, entering capture details and sharing sensor data. Capture settings include the ability to enable or disable any available sensor and adjusting the sensor sampling frequency. Download the app from Play Store and the source code from Github.